As followers of Christ, we are to go into the world teaching all Christ commanded. The good news is that we do not go alone. 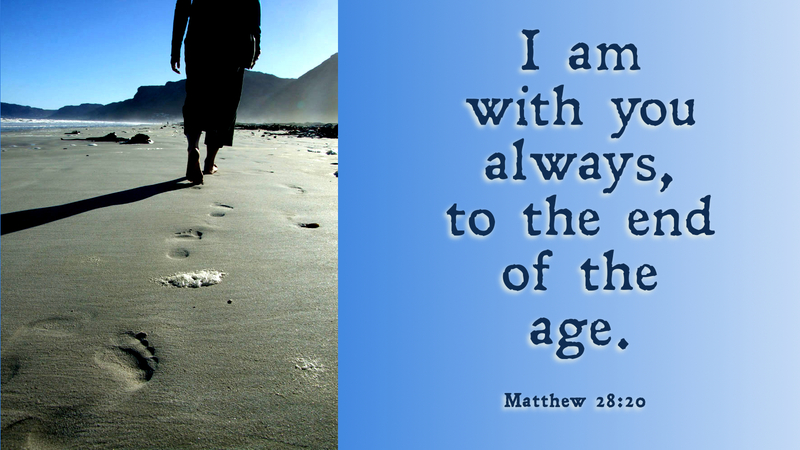 Jesus is with us just as he was with the apostles so long ago. Finally, doubt and fear are overcome with faith and love. Christ said “Go.” And so we go, remembering Christ is with us even to the end of the age. Prayer: Lord Jesus, overcome our doubts and help us live in your peace and presence. Amen. This entry was posted in Discipleship and tagged Christian, Christianity, Disciple, Discipleship, Faith, Faithful, Great Commission, Spirituality, Word of God. Bookmark the permalink.